W.E. 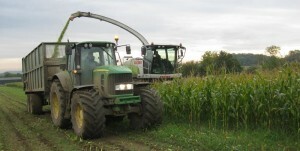 Jameson offer a full silage analysis service. Detailed feed into milk analysis is available for grass, maize and whole crop silages. Matching the animal’s requirements with dietary nutrient supply is crucial in maximizing production. Analysing silage is a crucial factor in this balance as silage quality can be extremely variable year on year and from farm to farm. The results of the analysis can be used to tailor a feeding regime to suit your farm, maximising feed efficiency and production. In addition, our forage mineral analysis indicates if levels of each mineral are high, medium or low. Your results can be discussed with our technical team and a bespoke mineral solution resolved. This approach ensures supplementation is targeted at specific mineral deficiencies, whilst reducing over-supply of those minerals that are in excess.